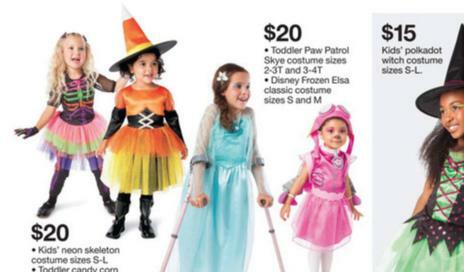 For parents of children with disabilities, a recent Target ad accomplished more than just selling Halloween costumes. Radhika Sanghani wrote for The Telegraph that Kroll’s Facebook post collected almost 6,000 shares, with other parents praising Target also. Kroll’s daughter, Jerrensia, 5, has arthrogryposis multiplex congenita — meaning joint issues — and Kroll has used the ad to draw awareness to what children like Jerrensia face. Perfection is valued in mainstream culture, Kroll told Laura Willard of Upworthy, so few children with disabilities have figures in media to look up to.